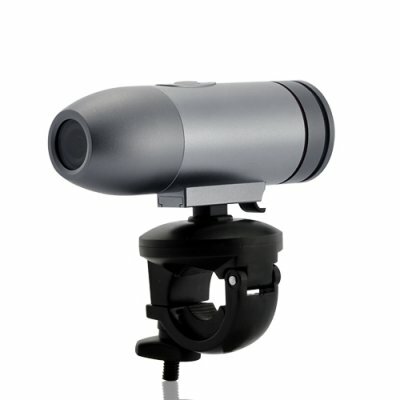 Successfully Added All Metal Mini HD Sports Camera (720P, 30 Meter Waterproof) to your Shopping Cart. Designed to capture high quality videos of your favorite action sports whether is in the water, on the land or flying through the sky, this rugged action camera is the best way to capture and relive all your exhilarating moments! Built using the top grade high strength aluminum, the DV75 all metal sports camera feels robust and solid, and can withstand medium-high impacts and tolerate harsh weather conditions without any degrade in performance. This is truly a well built product made with performance and durability in mind. Once you have recorded enough crazy moves and sequences you will be truly amazed to admire stunning 720p video and ultra vibrant colorful photos. With the DV75 Sports Camera, you can finally show off your extreme sports to your friends and family in beautiful high definition video or photos, and feel that great sense of accomplishment that you truly deserve. This is the perfect solution if you want a high quality action camera but don’t want to pay the outrageous price tag associated with them. The DV75 all metal Sports Camera is in stock and ready for same day delivery. Available in single piece or bulk order, purchase a few today and start showcasing you talents and receive the respect you deserve! Brought to you by your extreme friends here at Chinavasion! Comes with a bicycle handlebar mount. This is product does not record in a loop. Meaning when the SD card is full it will stop recording automatically.